This is a great gift basket to give to a family with kids. 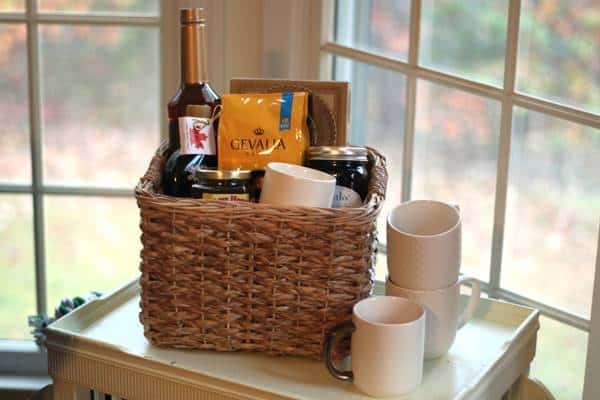 Place everything together in a basket to keep it organized and you’re set. 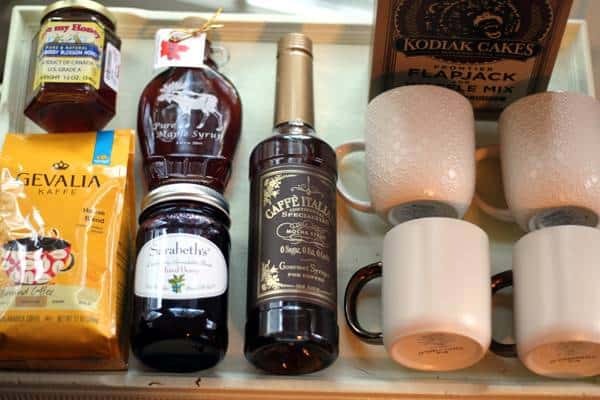 Shop stores like Home Goods and TJ Maxx to replicate this basket, specifically for the special jams and honey.